Don't let changing weather ruin your day. Prepare with The North Face Osito Triclimate Ski Jacket. This versatile outdoor jacket is actually two jackets - a DryVent™ 2L shell and a full-zip high-loft fleece. The two combine to create an insulated waterproof-breathable jacket or split and wear on their own. It's up to you (and the weather). When you wear the DryVent™ jacket as a shell or insulated jacket, you get a removable hood, secure-zip hand pockets and a hem cinch. The fleece jacket includes its own secure-zip hand pockets. "Is the trim red or hot pink?" "Thank you for contacting us. 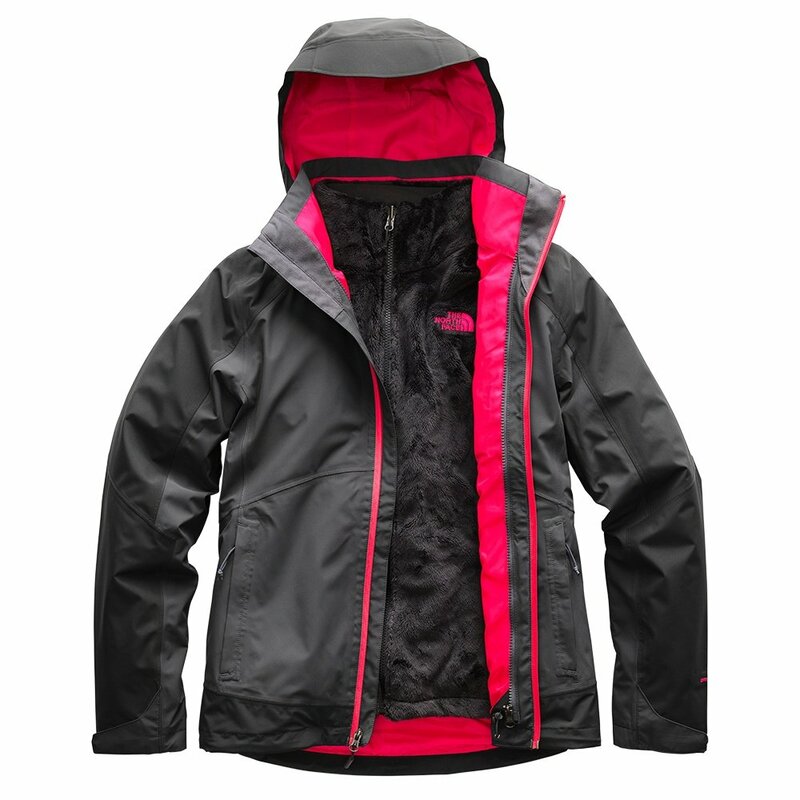 The trim on The North Face Osito Triclimate Ski Jacket is hot pink. We hope this information helps!"